After my post on blogging the other day, I was asked to provide a list with links to other MG blogs. Your wish is my command. This list is by no means extensive, I come across new ones all the time, so if you want to add your blog or one that you enjoy reading just post a link to it in the comments below. Disclaimer: I don’t promise to link to it as I will only link to blogs that I have enjoyed and would recommend. Probably the most popular blog I’ve come across on Twitter is Jessica Gimeno’s on her battles against myasthenia and bipolar disorder. Part of the Women with MG community, this blog is written by a range of different bloggers. 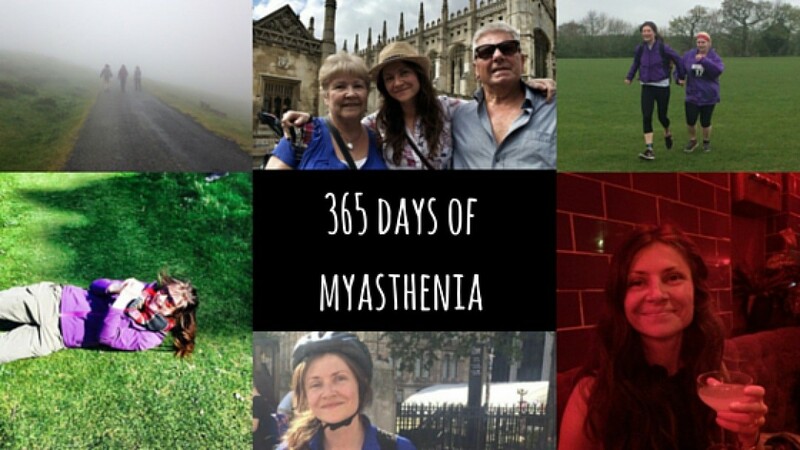 While I’m not entirely convinced of the science behind it, I have found Eat to beat myasthenia gravis blog inspiring. Stefanie Shea writes powerfully about her ups and downs with MG. So honored to be included on this list! If you ever wan to collaborate or talk or want to be featured on my blog (I interview warriors who fight illnesses including MG obviously), let me know 🙂 And thanks for all you. Having been diagnosed with Myasthenia Gravis (MG) over a year ago, I have continued to work full time, exercise hard, travel, party and live life fully. In September I had a thymectomy (my thymus removed) but, sadly, like 50% of young people who have the operation, my symptoms continue although are improved. This blog will aim to capture the day-to-day trials and triumphs of life for a twenty-something female with MG. I will post a photo or video every day for a year and hope to raise publicity for the condition and also for the charity, Myaware, that has supported me.